HERVEY Bay's Visitor Information Centre has climbed to the top of the category at the state tourism awards, beating dozens of other entrants to claim the prize. The centre took out the Gold Award at last night's Queensland Tourism Awards, blitzing the Bronze Award they won in the second category. Tasman Venture also received a Highly Commended Award in the Tour and Transport Operators category. 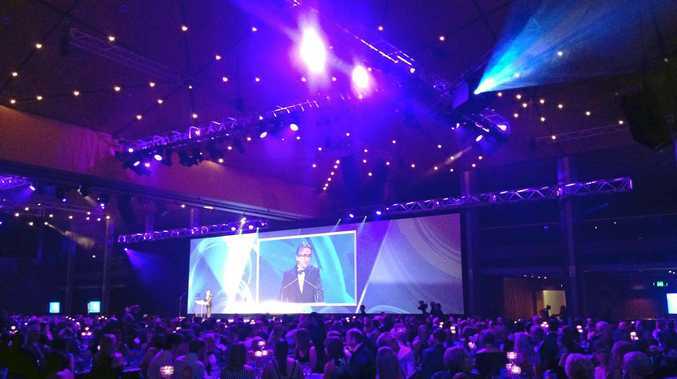 A total of 87 awards, including 26 gold, 26 silver, 26 bronze, seven highly commended and two individual awards across 28 categories were presented before a crowd of 900 in the Gold Coast. QTIC chief executive Daniel Gschwind said the competition had attracted a high calibre of tourism operators across multiple categories compared to previous years. "(The entrants) reflect the diverse and dynamic range of tourism operators helping Queensland's tourism industry flourish," Mr Gschwind said. "International visitor numbers for Queensland have seen record growth in the 12 months to June 2018, increasing 5.5 per cent." "While the industry continues to see growth in visitor numbers and expenditure, Queensland must strive to remain competitive in the global market." Queensland's Gold Award winners gain automatic entry into the Qantas Australian Tourism Awards, to be held in March next year.